Skill and compassion go hand in hand when providing exceptional patient care. As your dental professional, we stay up to date on the latest advancements in dentistry in order to provide the most current treatment options to our patients. As your doctors, we recognize that our patients are unique individuals who have placed a great deal of trust in us and our team. That is just one reason why we value each and every patient relationship. We appreciate the time you’ve taken to visit our website and find out more about our dental practice, and the many dental services we can provide to help you achieve optimum oral health. J. Dewey Willis III D.D.S. Dr. Willis attended Duke University and graduated with honors from the University of North Carolina. He received his Doctorate of Dental Surgery degree from the University of North Carolina Dental School in 1976. He is a member of the Tidewater Dental Association, and the American Dental Association. He has been in private practice since 1976, having spent the last 25 years in the Hampton Roads area. Dr. Willis has a special interest in removable prosthodontics (dentures) and mini-implants. 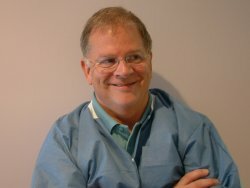 He has completed top-level courses in denture techniques and advance training in restoration of implants and implants to support and retain dentures. He is dedicated to serving the dental needs of the community.